GreenStocksCentral.com shall not be held responsible for the actions of individuals, parties, or corporations taken in response to the ideas, thoughts, concepts or information presented in this web site. GreenStocksCentral.com does not warrant the accuracy, completeness, quality, adequacy or content of any information on the web site. Such information is provided “as is” without warranty or condition of any kind, either express or implied. The GreenStocksCentral.com web site could include inaccuracies or typographical errors. GreenStocksCentral.com does not provide individual investment advice, or act as an investment advisor, or individually advocate the purchase or sale of any security or investment. Past results are not indicative of future results. Trading may not be suitable for all users of this site or the information provided by this service. The user assumes the entire cost and risk of any trading they choose to undertake. It is recommended that you consult a financial advisor before making any purchases. GreenStocksCentral.com provides interpretations of key investment principles as derived from published sources and does not imply that the originator of these principles endorses the representations made with respects to investing in specific securities as derived by GreenStocksCentral.com. By using this website, you are agreeing to be bound by this disclaimer, which may be updated without notice. It’s up to the users of this site to be aware of site policies at all times. GreenStocksCentral.com links to many other 3rd party resources. That is not an indication of endorsement and GreenStockCentral.com is not responsible for the content or experience of the user on a 3rd party site. Advertising: In order to keep GreenStocksCentral.com running as a free portal for green stocks information, it’s necessary to run advertising in the form of text and banner links for products and services that relate to investing in green energy. GreenStocksCentral.com receives compensation if you sign up for the offer presented. 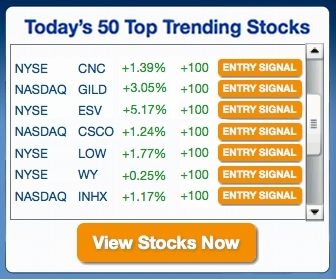 We thank you for keeping GreenStocksCentral.com going while expanding your knowledge in the green energy space! Product or Service Reviews: Should GreenStocksCentral.com locate related services that we feel our users will benefit from, we may provide a review and endorse a product which often times results in compensation should you decided to take the offer. Again, we thank you for supporting GreenStocksCentral.com while expanding your green energy investing knowledge!